ZeptoLab's co-founder talks evolving gameplay and the future of Om Nom. 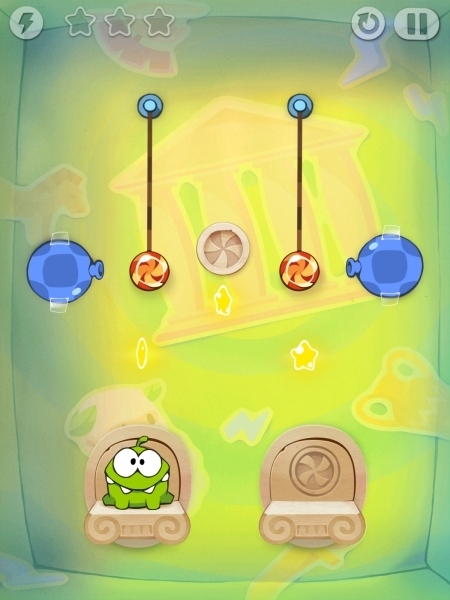 We reviewed ZeptoLab's outstanding new puzzle game, Cut The Rope: Time Travel last week. As well as a new setting for Om Nom's adventures, the game also introduces new mechanics and characters into this journey through time, and we awarded the game a very well-deserved 4.5 out of 5 stars score. We've since spoken to Semyon Voinov, co-founder of ZeptoLab, about how the team settled on this new dual-character approach to the puzzling, and what fans of the series can look forward to in the future. When the team sat down to create a new Cut The Rope game, what were the design priorities? What lessons did the team take from previous games that they either wanted to continue with, or improve upon? It's a common dilemma for every spin-off or sequel of something successful: we wanted to keep things that fans love about the game, while introducing something fresh that would make the game different. An idea of having two characters within each level allowed us to do just that. It's still about cutting the ropes and feeding Om Nom(s), but having two candies and two hungry creatures has created new, interesting gameplay situations that give our game a new "taste". We've also tried to take advantage of the time-traveling theme and introduced a set of a really cool new gameplay elements which give a great variety to the levels. The dual-character nature of the game changes things a great deal. How did the team come to settle on this idea, and were there any other ideas that were considered for evolving the core gameplay? 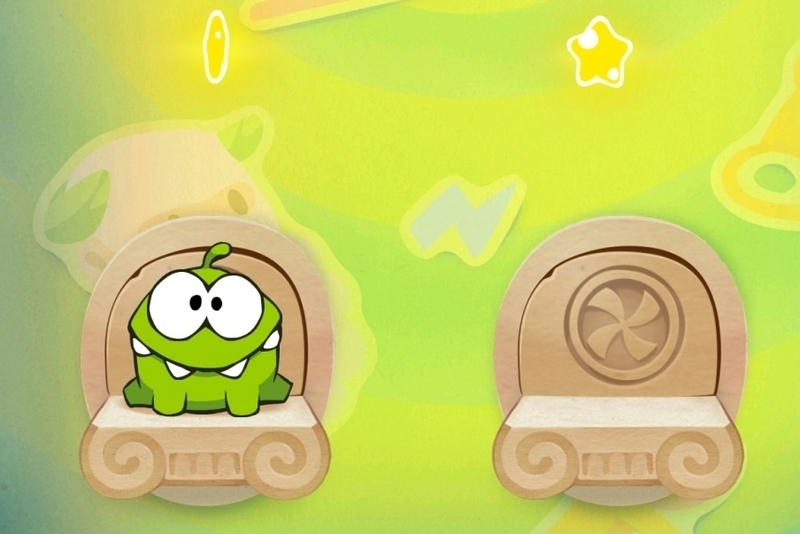 We wanted to introduce new characters to the game, but we didn't want to shift the focus from Om Nom too much. That's why we came out with the idea of Om Nom's ancestors and the concept of time-traveling allowed this idea to work naturally. We had several alternatives for that direction, but I can't give too much info on them because they still might be used in our upcoming games. We felt that the latter stages of the game represented a stiffer challenge than we're used to seeing from the series. How does the team go about balancing and iterating on the challenge of a level, particularly as more and more gameplay mechanics are weaved together? A proper difficulty curve is always one of the trickiest things to create. Making the game not too easy or too hard requires plenty of testing. Usually we create a big pool of levels and only a small part of them end up in the game. We do plenty of user testing and spend much time polishing the game. Judging from the user comments and reviews, we've succeeded in finding the right balance. The mobile platform is a constantly evolving system for even the biggest games. What challenges do you face in developing the Cut The Rope series when it comes to evolving the core gameplay without alienating long-term fans? The platform does evolve, but the demand for good puzzle games remains. We take advantage of new screens and resolutions, and we benefit from the better performance on new devices. At the same time, we stay true to what makes a game successful - fun gameplay and appeal to a wide audience. The Cut The Rope audience has become accustomed to receiving plenty of level updates. Can we expect more for Time Travel? If so, what form will they take - more levels in existing "ages" or new ages altogether? When can we expect to see them? We are already working on the new update that will feature a new Age, another one of Om Nom's ancestors and a new set of levels. We're doing our best to release it soon! Also, we have a set of new episodes of our animated series "Om Nom Stories" in the works, and the next episode will go live on May 4th. Om Nom's become a recognizable face on the App Store. Have you ever considered plans to adapt his world into a different genre of mobile gaming? Will he always remain a representative of the physics puzzling genre, or is there scope for him to star in other games? We are constantly looking into opportunities to expand the game and possibly bring Om Nom to new situations and even genres. We've released a small free app called "Om Nom: Candy Flick" as an experiment of that kind, and we will surely continue to search for new places where Om Nom can find some candy.